Subscribe to your free Ecuador report below. This report is sponsored by the the new beach project, Hacienda Palo Alto, north of Bahia starting in Cabuyal. We have been reporting for years that the area in Ecuador with the most explosive potential is north of Bahia. Bahia. See below how to get our updated report on Bahia FREE. Bahia is a wonderful city, small, but large enough for services. There is easy access from Quito and elsewhere. There are big investments pouring into the area. 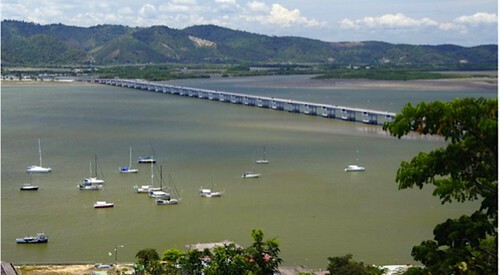 bridge – bridge over the Chone Estuary. 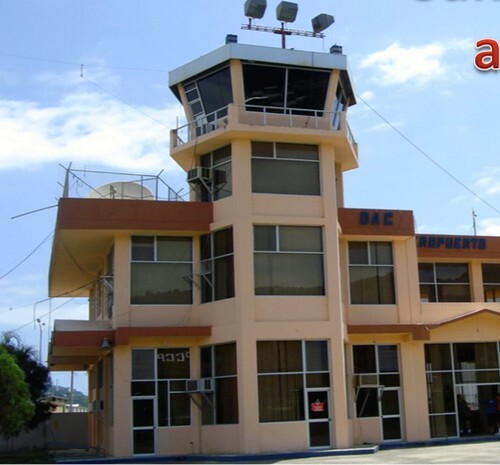 regular flights from Quito to San Vicente Airport. Dirt roads from Quito and up and down the coast have been paved into four and six lane highways. Now there is rapid change and development in Bahia, Ecuador’s first Ecocity. 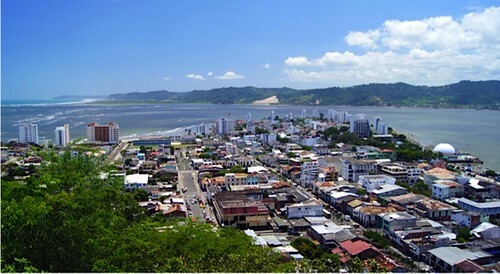 This is the favorite town in the area with a population of 25,000 people located on the mouth of the river – Rio Chone. 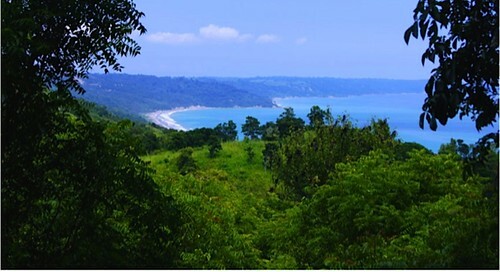 There are clean beaches, a Museum of archeology and art, organic Eco-Shrimp farms and tourism. Hacienda Palo Alto is in Cabuyal. The turnoff to the project is about 12 miles (20 kilometers) north of Canoa. Currently Cabuyal is a very small town. Expect significant changes over the next few years, mostly due to the upcoming Hacienda Palo Alto. Highway improvements will reduce drive from Quito to 4 hours (from 7+ hours last year, currently around 4.5 to 5 hours. 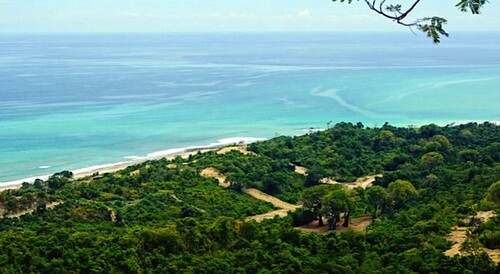 helipad, walking trail, children’s playground and beach ranchitos for relaxing. The majority of the property will be left in its natural state. The land has creeks and huge ceibo trees, wild orchids, parrots, and howler monkeys. The beach is mostly sandy and has a gentle slope. There is a nesting area for sea turtles. Waves provide excellent surfing and bodysurfing. Humpback whales visit July through September. This is an approved subdivision with 453+ acres and 1 km (.6 mile) of Pacific beach. There are 166 ~2000 sq. meter (20,000 sq ft.) lots near the beach that are not low-lying, plus fractionals, and homes and some commercial retail. Most of the property is to be left in its natural state. Sign up for a free Bahia report below.